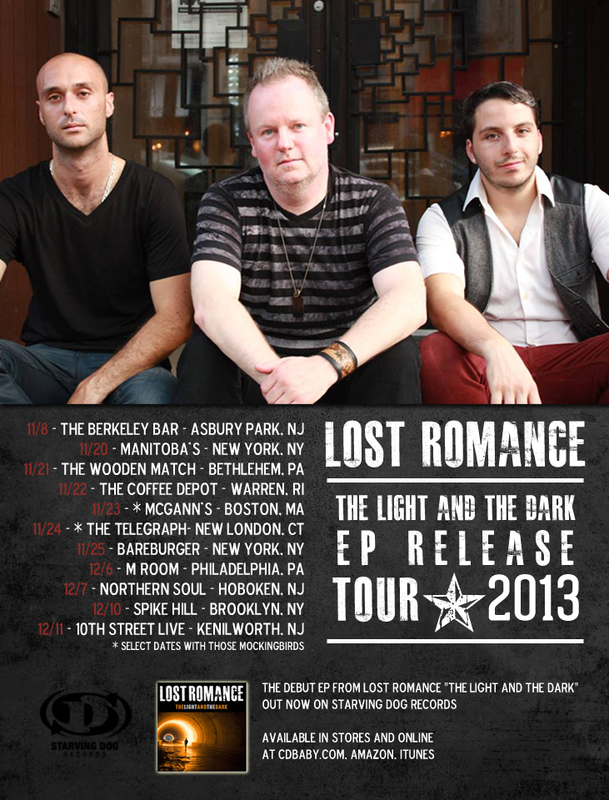 Lost Romance will be hitting the road this Fall/Winter in support of their new EP “The Light And The Dark”. They will be touring regionally across the Northeast. They will be joined by alt-rockers and fellow Jersey natives, Those Mockingbirds on select dates. The new EP is now available on Starving Dog Records and can be purchased on CDBaby.com, Amazon, Itunes and more.